Check out these unmissable deals on smartphones available on e-commerce platforms like Flipkart, Amazon India, and Paytm Mall. Flipkart’s Big Shopping Day Sale’s day 2 continues to impress us with a handful of good deals. However, Amazon India and Paytm Mall also have a few good deals running on their platforms as well. As usual, you could get more discount with the exchange offer, but you might not be happy with the exchange value provided by Flipkart. We have cherry-picked a few deals that could get you fantastic discounts, and even more if you exchange your old phone. However, do note that the phones are subject to stock availability. The Google Pixel 2 aims to entice with its fantastic camera, and imaging features such as the Google Lens and Night Sight camera. A pure Android 9.0 Pie running Pixel 2 houses top-tier chipset. You can buy it for as low as Rs 33,499 using an HDFC Bank credit/debit card to get Rs 1,500 off at Flipkart. Samsung’s premium Galaxy Note 9 features a gorgeous 6.4-inch Super AMOLED screen with Quad HD+ resolution. From 4K videos to reliable battery life, the Galaxy Note 9 delivers a lot including the new S Pen. The flagship phablet is selling for Rs 58,900 at Paytm Mall after selecting the ‘SAM9K’ promo code to avail Rs 9,000 as cashback. LG’s G7 ThinQ is an underdog flagship that provides almost every feature in a premium phone. It’s HiFi Quad DAC chip should interest the audiophiles into listening lossless music on the move. 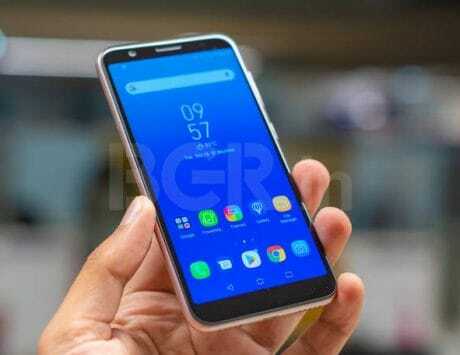 Flipkart is offering Rs 3,000 extra off over exchanging a phone to buy the G7 ThinQ. Also, if you own an HDFC Bank card, then you can get an additional Rs 1,500 to get the phone for at least Rs 25,499. The Honor 10 is a flagship-grade phone with Kirin 970 chipset under the hood, and AI-powered 24-megapixel+16-megapixel primary cameras. The imaging department boasts top-tier features such as multiple subject recognition. The stylish Honor 10 is an excellent buy at Rs 23,499 from Flipkart when using an HDFC Bank card to get Rs 1,500 off. Mobile gamers and fans of value-for-money phones should grab the Honor Play. The phone, not only packs competitive hardware, but also features GPU Turbo technology for an uninterrupted gaming experience. Honor Play is selling for Rs 16,999 on Amazon India. The Lite version of the Huawei P20 carries the same design, but also 16-megapixel+2-megapixel dual primary camera setup at the rear. 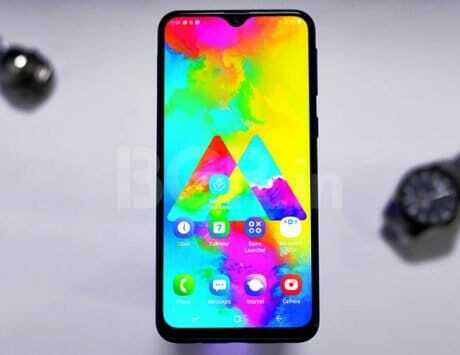 It runs Android 8.0 Oreo-based EMUI 8.0, and offers most of the modern imaging features such as 3D portrait lighting and Bokeh. The P20 Lite is going for Rs 16,999 on Amazon India. Oppo F9 with a full view display and a drop notch has a premium feel with the pattern finesse at the rear. The phone boasts a studio-like portrait mode with the 16-megapixel selfie camera, and you can capture slow-motion videos using the dual rear cameras. The F9 is selling for Rs 17,490 after using an HDFC Bank card to get Rs 1,500 discount on the listed price on Flipkart. Samsung’s Galaxy On8 has a 16-megapixel front camera with a variable LED flash to click amazing selfies. The phone’s 6-inch Super AMOLED display is impressive, and you’ll enjoy it while editing photos clicked using the dual rear cameras. The Galaxy On8 is up for grabs at a selling price of Rs 11,490 after using an HDFC Bank card on Flipkart. The Samsung Galaxy On Nxt sports a sleeky metal unibody and a 2.5D curved Gorilla glass display to appear as a classy budget phone. It has an 8-megapixel selfie camera and a 13-megapixel primary camera for your imaging needs. This budget phone is going for Rs 8,490 at Flipkart after you use an HDFC Bank card to avail Rs 1,500 flat discount. Disclaimer: Flipkart offers 10 percent instant discount on HDFC Bank Credit and Debit cards for one transaction only, and caps the maximum discount to Rs 1,500.